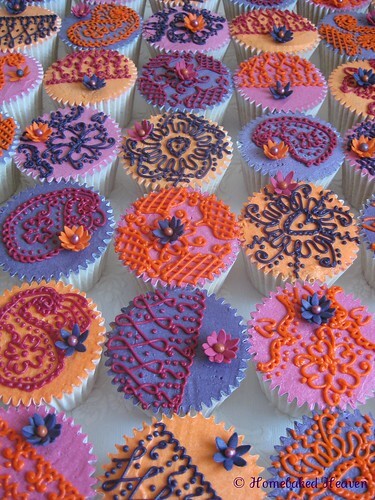 This beautiful set of a wedding cake and matching wedding cupcakes, all done with henna-inspired designs, is by Harrogate, UK-based Homebaked Heaven, via Flickr. I love how the colors work together to create a very stunning display. You can also find them on Facebook. Wow, what a beautiful work of art!